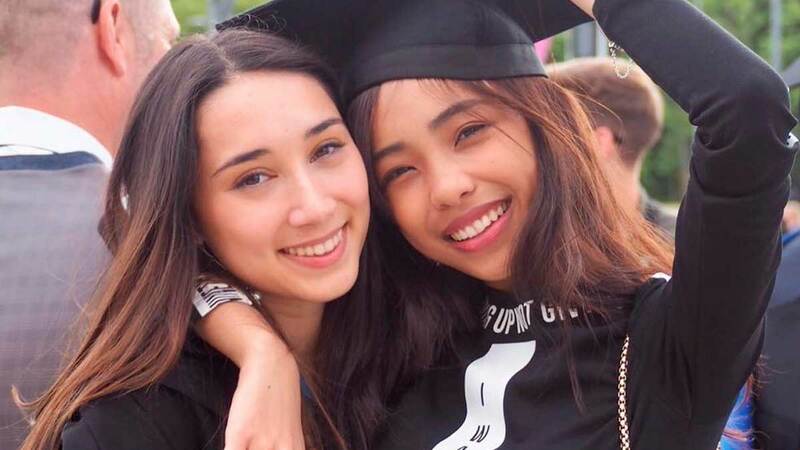 It's no secret that Maymay Entrata is actually pretty close to Edward Barber's older sister Laura! I mean, Laura even flew to Dubai to support her during Arab Fashion Week and Maymay was present during Laura's college graduation in Germany in July. During the Edward, Maymay, and Laura's guesting on Magandang Buhay on November 28, Laura talked about how MayWard acts off-screen: "Parang walang sikreto. Kasi what you see on TV, it's how they really are. He cares for her, and she cares for him. So, I think they're not really hiding anything from the public." It turns out that Edward used to get jealous of the friendship between Maymay and Laura! Maymay revealed that when they left the PBB house, it was her and Laura who were actually ~closer~. It came to a point where Edward would say, "Sige kayo na, my sister doesn't have time for me because of you." "So what?" Maymay would respond. "We're sisters...in soul." Maymay also shared that even with the language barrier, she and Laura get along and they get each other's weirdness. Laura gives her advice and they've also been able to talk about relationships and guys! Awww. Such cuties. Here's to more bonding moments between them!